The accounting world is constantly changing. Accountants must stay on top of the new accounting laws and regulations constantly coming from the industry. 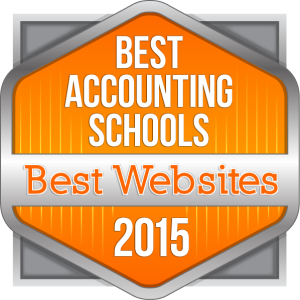 We at Best Accounting Schools aim to keep accountants with the most up-to-date information we can. We also hope to make searching for this information a little easier, so we compiled a list of 100 great websites for accountants. The list contains links for associations, business sites, news agencies, magazines and blogs about accounting. In researching the websites, we searched hundreds of business and financial websites for the most trusted and news worthy pages. We chose top-rated associations with long-standing accountability. We also looked for associations that offered diversity to the accounting industry. We searched for blogs that were written by accountants and gave first-hand knowledge of the accounting world. We hope you find this list to be both educational and informational. It is a list that current accountants, accounting students and anyone interested in the accounting industry can use. Accounting and Financial Women’s Alliance – A professional organization for women networking in the financial industry. AICPA – American Institute of CPAs – The world’s largest association for anyone in the accounting profession. American Accounting Association – The largest group for accountants in academia. American Association of Finance and Accounting – A group that specializes in the recruiting and staffing of finance and accounting professionals. Association for Accounting Administration – A networking association for accounting administrators in the US. Association for Accounting Marketing – A trade association providing resources and support to CPA and consulting firms. Association for Latino Professionals in America – A professional networking association with over 23,000 members. Association of Accountants and Financial Professionals in Business – A worldwide association of accountants and financial professionals working in business. Association of Chartered Accountants in the United States – A nonprofit professional and educational organization representing the interests of Chartered Accountants and Chartered Professional Accountants. Association of Chartered Certified Accountants – A global body for professional accountants. Association of Government Accountants – An educational organization for public financial management employees in local, state and federal government firms. Beta Alpha Psi – An international honor association for financial information students and professionals. Chartered Global Management Accountant – The CGMA designation is the global designation for CPAs working in business and government. Financial Accounting Foundation – An independent, private-sector organization responsible for the oversight, administration, and finances of its standard-setting Boards, the Financial Accounting Standards Board (FASB) and the Governmental Accounting Standards Board. The Institute of Internal Auditors – An international professional association for internal auditors. International Accounting Standards Board (IASB) – A organization responsible for developing international financial reporting standards and promoting the use and application of these standards. International Association for Accounting Education and Research – An international organization for accounting educators. International Federation of Accountants – A global organization for the accountancy profession dedicated to serving the public interest. National Association of Black Accountants – An association for accountants, finance and business related professionals and students. National Association of State Boards of Accountancy – An association dedicated to enhancing the effectiveness of the country’s 55 state boards of accountancy. National Society of Accountants – A member-oriented group to allow accountants a resource for growth and professional evolvement. The Professional Accounting Society of America – A professional organization for entry-level and mid-level associates working at accounting firms. This Way to CPA: The student affiliate to AICPA. 360 Degrees of Financial Literacy – A free program for consumers by the AICPA to help understand personal finances. Accountancy Licensing Library – Information on keeping up your accounting license. Accounting Coach – An online resource for accounting principals and information. Accounting Today – A site featuring business news for the accounting and business community. Accounting Web – Accounting news from the United States and the United Kingdom. AICPA Store – An online store for all AICPA products and services. Becker Professional Education – A website devoted to information and help regarding the CPA Exam. Chartered Professional Accountants of Canada – A Canadian site for up-to-date accountancy information and laws. CPA.com – A website offering digital solutions for CPA firms. CPA Practice Advisor – A resource for tax and accounting professionals in public practice. CPA Review For Free – A free online resource for CPA exam preparation. CPA Trendlines – A research and advisory service focused solely on the tax, accounting and finance professions. Feed the Pig – A site with articles, tools, tips and plans to help plan a financially-safe future. Financial Accounting Standards Boards – This site is a good resource for up-to-date accounting standards. International Financial Reporting Standards: A resource site for accounting professionals, financial managers, audit committees, boards, and investors. Investopedia – A site with articles and information for the business and financial industry. Roger CPA Review – A site offering help and hints in regards to passing the CPA Exam. Start Here Go Places: A site that provides resources for students on accounting careers and information on finding accounting jobs. Yaeger CPA Review – An online CPA review site offering support to studying for the CPA Exam. ABC Business News – Business news from a leading US news organization. Accountancy Live – An accountancy news site that updates multiple times a day. Accountants World Daily News – Up to the minute accounting news. BBC News – International business news from the BBC. Bloomberg – A business based news organization with section specifically on accounting. CBS Money Watch – Business news from another leading US News Organization. CNBC – The latest in business and financial news. CNN Money – A subset of the popular news organization with business and finance news. Financial News – A site with up-to-the-minute financial news. Fox Business – The business section of the popular news organization. Mother Jones – A nonprofit news organization that specializes in investigative, political, and social justice reporting, with many business articles. Reuters – Breaking news in the business and financial industry. Yahoo! Finance – A popular site with latest in financial news. The Accounting Review – A journal by the American Accounting Association. CPA Journal – An accounting publication of the New York State Society of CPAs. CPA Magazine – A publication devoted to CPA to manage and enhance their practice. The Economist – A publication devoted to business and the economy. Financial Times – A popular UK publication with up to date business news and articles. Florida CPA Today – A magazine for with the latest news and events in accounting. Forbes – A periodical pertaining to business and the financial industry. Insights – A magazine by the Stanford Business School. In the Black – A top leading business magazine in Australia. Journal of Accountancy – Journal of the AICPA featuring information on tax, financial reporting and auditing. Journal of Accounting, Auditing and Finance – A journal for accounting and auditing researchers, faculty and students. New Accountant – An accountancy education journal with articles for all ages, including high school students. The New Yorker – A popular magazine with business news. The New York Times – This popular newspaper has a well-known business section with accounting and financial news. Strategic Finance Magazine – A publication from the IMA. Time – This publication carries current news and articles about US affairs and business relations. USA Today – The popular newspaper with daily business news. US News and World Report – A publication with articles about the US and business news. The Wall Street Journal – This well-known newspaper has an online site for business news, and a section devoted solely to accounting. Wharton Magazine – A publication from the Wharton School of Business. Accounting Coach – A blog posing regular questions and giving answers in regards to accounting. Accounting Onion – A blog about accounting and financial issues. A Counting School – A blog from a first year accounting manager. Belfint Nonprofit Ledger – A blog to give guidance on accounting matters to nonprofit employees. Better Business Blog – A blog run by an accounting firm that specializes in providing tax and accounting advice to businesses. Big 4 – A blog with the latest news about the largest four accounting firms. Boring is Optional – A blog from a London accountant with a humorous side. CPA Career Coach – A blog by an executive recruiter and career coach for accountants. CPA Success – A blog by the Maryland Association of CPAs. CPA Technology Blog – A blog for technology and news for accountants. CPA Zone – A blog with tips for students on passing the CPA exam and getting an accounting job. Crush the CPA – A blog giving helpful hints about passing the CPA Exam. Dental CPAs – The team of CPAs contribute to this blog to help discover new ways of marketing your practice on the Internet. Farm CPA Today – A blog by a CPA offering help to agribusiness growth. Forensic Accounting Today – A blog dedicated to the practice of forensic accounting. Fraud Files Blog – A blog by a forensic accountant and fraud investigator. Golden Practices – A blog with resources for accounting students. His CPA – The blogger on this site has over 30 years’ experience in business accounting, tax, and giving financial advice. Homeschool CPA – A blog by a CPA and homeschool mother offering help for nonprofit homeschool organizations. Jr. Deputy Accountant – A blog about accounting and politics. OSYB Number Crunch – A blog about accounting and booking. re: The Auditors – A blog about with information for accountants from an accountant with over 20 years experience. Small Business Profit Explosion – A blog by a CPA aimed at helping small business growth. The Wandering Tax Pro – A blog by an accountant that talks about state and federal tax issues and laws.